Pharmacy Students . 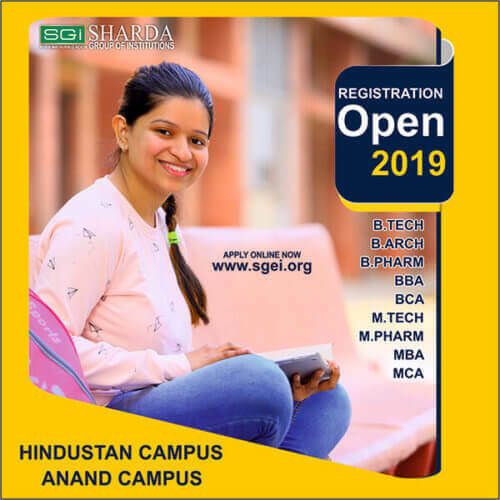 . .
Anand College of Pharmacy has been remarkable as far as placements are concerned. A separate cell works out round the year to place the students of ACP. Many national and multi-national companies have visited Anand College of Pharmacy for recruitment so far and many are in the pipeline. ACP has excellent placement record on the campus and off the campus. Students of B.Pharm Final Year 2018 have been placed in some of the leading corporate like Cord Life Sciences, Advantmed India LLP and Macleods Pharmaceutical Ltd.
Students of ACP cleared various levels/ rounds of the selection process and made it in the final round of Interview inside the Campus placement to get selected finally. All Students were offered starting package RANGING BETWEEN RS. 2.25 LPA – RS. 2.75 LPA + Allowances + Incentives. Seventeen (17) students of B.Pharm Final Year 2018 have been placed in the campus placement held in last 02 months in some of the leading corporate like Cord Life Sciences, Advantmed India LLP and Macleods Pharmaceutical Ltd.
7 Pankaj Garg ECG Analyst Health watch tele diagnostics pvt.ltd. 8 Prashant singh ECG Analyst Health watch tele diagnostics pvt.ltd. 9 Sahil verma ECG Analyst Health watch tele diagnostics pvt.ltd. 10 Anjali upadhyay ECG Analyst Health watch tele diagnostics pvt.ltd.